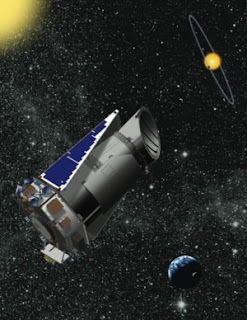 The Physics Groupie Blog: Be a Planet Hunter! At last count, Kepler has located eight exoplanets and several hundred more candidates awaiting confirmation. The problem is that computer methods designed to detect exoplanets might miss something. This is where the public can play a role. Humans have an innate ability for fast and efficient pattern recognition. So the Planet Hunter website presents Kepler light curves and allows the user to look for the dimming that signifies the possible presence of a planet. Planet Hunters which recently launched on December 16, 2010, is part of the popular galaxy classification site – Galaxy Zoo. Here’s the best part - if the Planet Hunters project correctly identifies a new exoplanet, the user who identifies its presence will be listed as a co-author on the scientific paper announcing the discovery. What more can an amateur scientist ask for? So at that next cocktail hour you can proudly proclaim “I discovered an exoplanet, Kepler 11d.” So cool! Expect a blank look once you tell someone that you discovered a planet - most people don't even consider that there is life beyond the end of their street, lol!